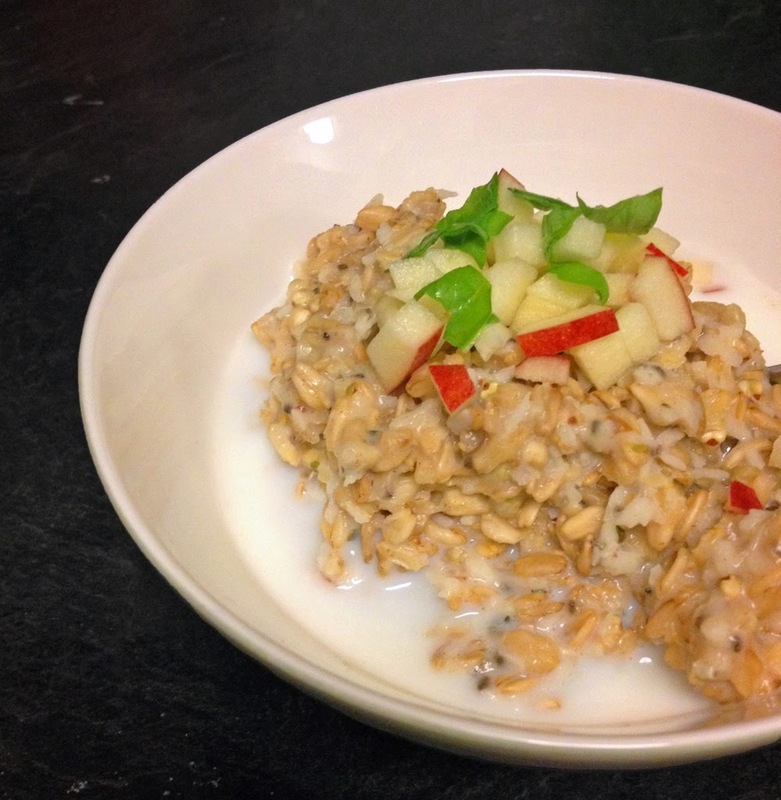 * Wild About Porridge *: Fridge porridge! Sounds crazy, maybe even weird. But really it's just a really smart idea: instead of just soaking some oats, you soak the whole recipe and just heat it up (or don't) in the morning. I found this idea on a great blog called The Oatmeal Artist. This girl is p a s s i o n a t e about oatmeal. She makes it in classic and wacky combinations, hot and cold, and takes stunningly beautiful pictures of her creations. During the last couple of weeks I've tried a bunch of her fridge recipes (because that was such a great idea, I'm still going to try her regular ones too). I especially liked the Banana Cream Pie and the Lemon Drop. The first one I cooked on the stove for about 5 min and the other one I had cold. I recommend letting it stand for just a bit though, even if you're eating it cold, because at least for me it was a bit too well chilled to have straight out of the fridge. Add the first three ingredients to a mason jar. Mash up 2/3 of your banana and add to the jar. Slice the remaining 1/3 into the jar. Add vanilla extract, optional yogurt, and salt. Put the cover tightly on the jar and shake, shake, shake. Place in the fridge overnight. In the morning, you will have a delicious, dessert-like oatmeal ready and waiting for you!" Can it be tweaked according to whatever ingredients I happen to have at home? Is it EITHER so easy to remember OR so forgiving that I don't always have to look the recipe up? The result was great. This type of recipe is definitely staying in my repertiore. Check out The Oatmeal Artist for lots of great recipes and ideas. *yep, well, Vancouver is like the yoga capital of Canada so things like this make their way into your home almost on their own.